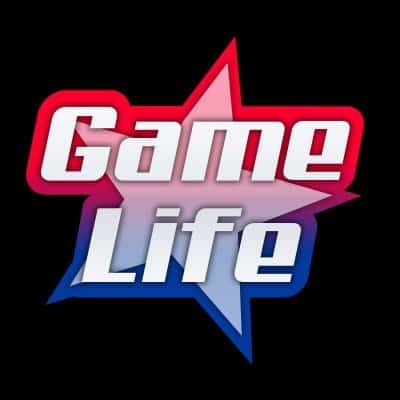 Rasim “Blazt” Ogresevic plays for G2 Esports and is a Call of Duty player. He is currently on the roster of G2 Esports Call of Duty division which he shares with Ricky, Chino, Decemate and Faccento. The entire team was formed just last month, bringing a new division to the well established G2 Esports organization. With all the new teams being formed for upcoming CWL season, competition will be fierce and many teams are trying to recruit the best in order to compete at the highest level. G2 Esports signed up Blazt (now know as G2 Blazt) to add depth to the roster. Having played on prior teams Reckless and compLexity, G2 Blazt has had some decent showings finishing in the top 6 of the CWL Birmingham Open (2018) and lastly finishing top 16 at the 2018 Call of Duty World League Championships. It’s going to be exciting seeing how well G2 Esports new Call of Duty division fairs against established teams like Rise Nation and Red Reserve. Blazt first custom 1 class is interest. He has the ICR-7 equipped with Optics red dot Reflex and two attachments being Grip 1 and 2. Reduced grip 1 adds +1 accuracy while grip 2 adds Adding grip gives reduced recoil while aiming down the sight. It also reduces flinch when aiming down the sight and there’s minimized recoil when aiming before firing. He also equips FMJ which penetrates and destroys armor (adds +1 damage). For his perk classes he has Dexterity which allows you to “mantle, climb, slide, and swap weapons faster.” It also adds increased weapon accuracy when jumping or mantling. Interestingly, he has added Dead Silence as his 2nd choice with the ICR-7. Typically dead silence is used with sub-machine guns a lot as the “run and gun” player likes to maneuver around players quickly and quietly. As for his gear, Blazt equips the Stim Shot which is very useful if you’re on the offense a lot. With stim shot you heal faster and more often, while maintaining control of your weapon”. With Blazt’s custom 2 class, he equips the very popular Maddox. 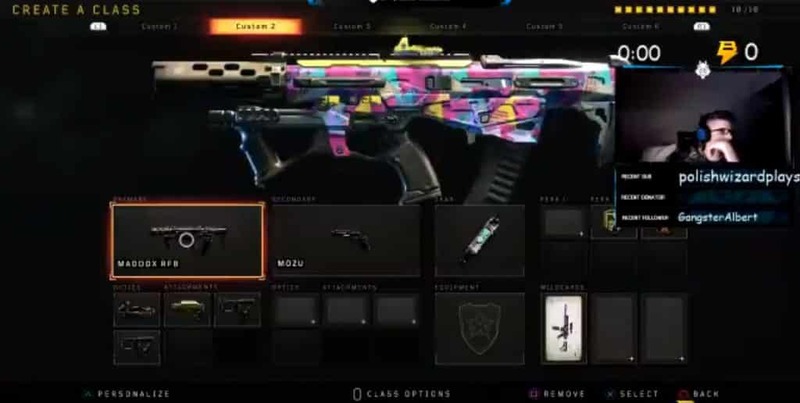 Many players have boasted about it’s reliability, especially with it’s operator mode as one Twitter user SaugusHook puts it: “Maddox is the best gun in Black Ops 4 right now“. The optics used is the “ELO” as many would agree is by far the best optics to use in the game. Custom class 3 is Blazt ‘s sniping class which consists of the Paladin and Mozu as his secondary class (as every sniper needs some secondary backup). In custom 4 class you can see that Blazt put together a nice run and gun class. He has the SAUG 9mm equipped with Quickaim, Grip and Stock. Using a gun like the SAUG 9mm, you want to be able to move around quickly and efficiently which is why Blazt also equipped “Lightweight” as one of his perks; essentially to give him more durability and faster movement. Dead silence and Dexterity are the usual suspects for Blazt. But with a class like this, it’s incredibly deadly to have dead silence while moving around so quickly. You firstly catch the enemy off guard if their using acoustics / eliminates footstep sounds, and dexterity gives the extra punch in order to climb/jump down quickly and undamaged. This is a great class for anyone who runs and guns a lot. Depending on the map, it’s great for close combat. Finishing up is the Stim Shot as his go-to gear. 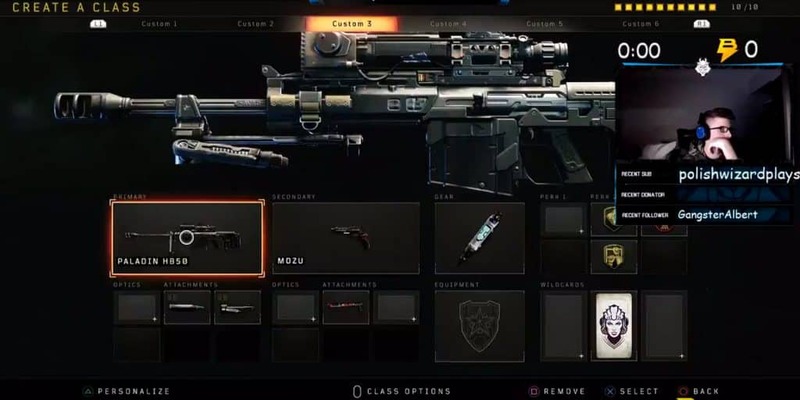 Custom 5 consists of Swordfish as the primary gun, and Mozu as the secondary gun. The optics chosen is Reflex with Quickdraw 1 + 2. Now if you haven’t unlocked quickdraw II, it’s insanely fast. By the time you are thinking of pressing the aim button, your gun is already aiming down sight, that’s how fast it is. It’s an interesting combo with the Swordfish and Mozu. Lastly Blazt has Stim Shot equipped with perks Dexterity and Dead Silence. Although it’s great to see what the pros are equipping for Black Ops IIII, generally classes are always being tested with different combinations and rarely are classes kept in the same form from the first month. However, some of these combinations might be a longterm winner and have already proved to be effective for G2 Blazt’s style of gaming. But if you haven’t unlocked some of the items in this Blazt Black Ops IIII Class Setup Top 5 list then you have some work to do!